The new “Desert Storm” DLC is now well into production, and is set to launch on March 28 (see the trailer!). The companion v1.15 update has also been released, and the dev team is already tweaking the new features and fixing issues based on early feedback. Let us take a look through the scenarios available in this battleset and explore the historical and hypothetical events that it surveys. The B-52 Stratofortress (aka. 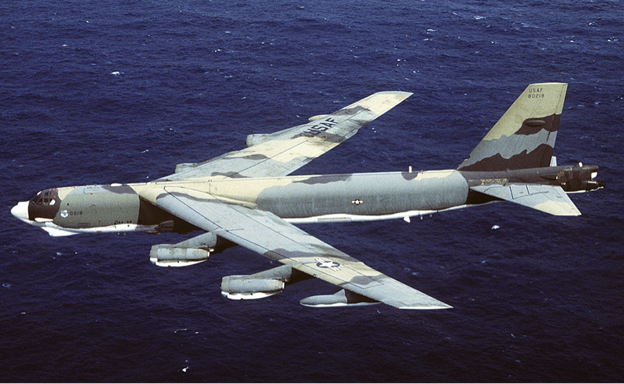 “Buff” for “Big Ugly Fat… Fella,”) has enjoyed a long history in the US Air Force. The bomber was contracted in June 1946, made its maiden flight in 1952 and has been in service since 1955, operating in every major US air campaign since, with final retirement still decades away. Anecdotally, there are a handful of cases where the sons (and grandsons) of early B-52 pilots have also flown the aircraft – and, reportedly in one instance, the same airframe. During Desert Storm, B-52s flew 1,624 missions, dropped over 72,000 weapons, and delivered over 25,700 tons of munitions on area targets on airfields, industrial targets, troop concentrations and storage areas across Iraq. They also performed standoff precision attacks with AGM-86C cruise missiles (a conventional-warhead modification of the nuclear-tipped AGM-86B), a weapon still classified at the time. In this representative scenario of Buff operations during the air campaign, aircraft dispersed at four different bases in Saudi Arabia, the UK, Spain and Diego Garcia are tasked with attacking multiple Iraqi airbases and knocking them out of action. Recognizing the importance of Middle Eastern oil resources, the USSR had long nurtured favorable relationships with the major oil-producing states. Publicly, and more often privately, they would provide financial, technical, diplomatic, intelligence and military support as needed to cement these links. The Gulf War found the USSR in a precarious situation. After the fall of the Berlin wall and re-unification of Germany, Russia found it increasingly difficult to contain the other states within the Soviet sphere of influence. A number of them had already declared their independence by 1990. In January of 1991, just as Desert Storm was starting, the USSR was busy in Lithuania trying to suppress rising nationalist independence movements. By the end of the year, Soviet premier Gorbachev abandoned this futile effort by officially dissolving the Soviet Union. Beset by these various headaches at home and a domestic economy that was already visibly collapsing, Gorbachev was disinclined to interfere with either the western build-up of Desert Shield, or the subsequent air & ground campaigns of Desert Storm. While Soviet diplomatic delegates played a major part in the prewar negotiations between Iraq and the coalitions, the political apparatus very explicitly declared the Union’s neutrality – declarations matched with overt gestures of military stand-downs and reduced readiness in Central Europe and other theaters in which Soviet forces had traditionally been on high peacetime alert, ready to commence offensive operations. It is hard to overstate the importance of this very visible Soviet neutrality on the coalition’s ultimate success. Active Soviet support for the west’s adversaries (in many forms & guises) was one of the defining attributes of almost every military contingency the western powers had fought throughout the Cold War. This time, the Soviets would literally sit it out. In addition, the visible reduction of the Soviet threat in Central Europe (a process begun in 1989 with Gorbachev’s massive unilateral troop reductions in Warsaw Pact states and further codified by the provisions of the CFE treaty) allowed the expedited transfer of massive first-line, high-readiness forces (such as the entire US 7th Corps) from the European theater to Saudi Arabia. This move – which ultimately enabled the strategic “left hook” maneuver that outflanked and destroyed the bulk of the Iraqi army – would have been unthinkable with a politically-hostile USSR, or at any time prior to ~1990. While the USSR was in no position to commit significant assets to the theater in 1991, it maintained regional forces and basing arrangements much as the US did; part of the long chess-game of positioning and influence peddling that characterized the Cold War. In addition to the latent threat those assets posed, materiel aid, technical support and military advisers would have significantly boosted Iraq’s chances of effective resistance. It is unlikely the USSR would remain on the sidelines if it perceived that a significant portion of the Middle East’s oil production was about to fall completely into Western hands. In retrospect, the risk of Iranian involvement in the Gulf War seems minimal to nonexistent; the unmitigated brutality of the Iran-Iraq war ensured that no love was lost between Tehran and Baghdad. However, the Islamic Republic of Iran’s brief history had been one of constant animosity with the west – the Iran hostage crisis and subsequent economic sanctions, US support for Iraq during the war, constant support for terrorist actions against Israel, Operation Praying Mantis’s reprisal bombings in 1988, the shootdown of Iran Air Flight 655, and numerous smaller incidents. The Islamic Republic’s theocratic leadership, then and now, embraces a vision of grand ideological clash; Islam versus the West; which in practice means Islam versus the US. Tehran’s open hostility and wars-by-proxy against Israel, and the US-Israeli alliance, have always been part and parcel of this. Had Saddam’s attempt to draw Israel into the Gulf War via Scud attacks been successful, these underlying factors might well have overcome even the bitterness of a brutal eight-year war and impelled Iran to action. Absent such events, Iran still had plentiful means, motive and opportunity to harass Coalition forces. In possession of the Persian Gulf’s entire northern shore – including the crucial strait of Hormuz – Iran could have utilized its preferred plausible-deniability tactics with irregular and terrorist forces utilizing light craft, speedboats, and mines. Its qualitative military edge was in better balance with the US than it is now; with much of their military inventory (like Tomcats and Phantoms) mirroring assets still in active US service at the time, making such provocations less risky. Such action would require curtailing if Coalition efforts against Iraq were to be successful, and as Operation Praying Mantis shows, the US was not adverse to reprisal attacks to effect that outcome. This hypothetical scenario explores how such an operation may have been conducted. 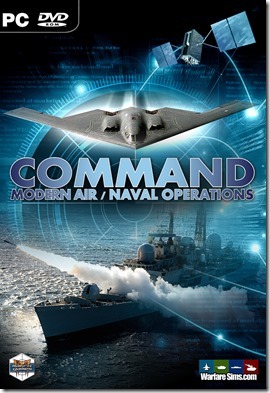 Additionally, this scenario includes two proposed, but never-built platforms – the A-12 “Avenger II”, a flying-wing, stealthy carrier bomber meant to replace the A-6, canceled in 1991 as the full-scale mockup was nearly complete, and a proposed carrier-capable variant of the F-117A Nighthawk. These units “stand-in” for the land-based stealth capabilities the coalition historically had in-theater, and also allow a retrospective look at early efforts to bring deep-penetration, stealthy strike to the carrier battle group. The wedge-shaped A-12’s strike role was later subsumed by the nascent MQ-25 Stingray (before urgency prompted the Navy to delay its strike capacity in favor of fielding carrier-integral air tanking ASAP). Likewise, the F-117’s navalized variant was declined as the Joint Advanced Strike Technology program was already promising a superior aircraft – which would eventually emerge (after a program renaming) as the F-35 Lightning II. These aircraft were early attempts at the capabilities the F-35 is now delivering to the fleet, after a protracted delay. The future is finally here. In 1991, the future of carrier strike looked very different – and had the possible scenarios (like this one) that prompted the Navy to chase these capabilities been judged more probable, the future might have arrived earlier than expected. For reasons both political and practical, the Coalition never made an explicit goal of decapitating Iraq’s leadership – but nonetheless, a small, concentrated and persistent effort was made to hit headquarters units and command bunkers throughout the war. Strike planners knew they were unlikely to catch Saddam Hussein, known for his caution even prewar, and political optics revolved around the liberation of Kuwait, not the execution of the Coalition’s enemies. However, a 2,000 pound bomb hitting one’s HQ tends to inhibit the command performance of even the most composed of generals, and scrambling between bunkers by day to flee invisible black bombers hunting by night wears on the nerves of any general staff. A portion of these efforts pursued Saddam Hussein himself, as often as intelligence sufficed to cue them. From the opening strikes in the early hours of January 17th to the last “Winnebago hunt” strikes on February 25th, high-explosive, precision-guided ordinance dogged Hussein’s heels. F-117s and F-111s delivered almost 200 precision-guided weapons against roughly 40 separate targets to include Iraqi’s general command staff in the harrowing experience. This scenario is representative of this small, but important category of strikes that persisted throughout the conflict, including the intensive ISR, SEAD/DEAD and intelligence gathering efforts that preceded them. A century before armchair admirals declared aircraft carriers obsolete in the guided missile age, the mighty battleship had its own turn in the theorist’s crosshairs. The slingstone hailed as Goliath-slayer was a fearsome new high-tech weapon – the self-propelled torpedo. Capable of transforming any small boat into an “eggshell carrying a sledgehammer,” battleships were decried as obsolete targets, easily sunk by ships a bare fraction of their extreme cost. Torpedoes would soon prove their lethality, but much like airpower, never realized the wildest dreams of its proponents, even when pursued with a will (e.g. Imperial Japanese Navy). History would repeat itself when the humble torpedo boat evolved into the missile boat, or Fast Attack Craft (FAC). The sinking of INS Eilat by Egyptian missile boats in 1967 and a superlative showing by Indian FACs in the 1971 Indo-Pakistani war lent weight to those claiming the obsolescence of the large surface combatant. On the 29th of January, 1991, those theories were tested when the bulk of the Iraqi navy (plus captured Kuwaiti vessels, manned by Iraqi crews), attempting to flee to Iranian ports, was engaged by coalition naval airpower and completely destroyed in a drawn-out, 13-hour engagement. Bereft of the air-defense systems carried by larger hulls, the missile boats were little more than targets. Antiship missiles fared little better. HMS Gloucester made history by shooting down a shore-launched Silkworm aimed at USS Missouri; the first-ever interception of an incoming missile by a ship-launched interceptor. Being more of a turkey shoot than a “battle,” Bubiyan never provided definitive answers in the surface combatant debate. Had a few things gone differently, however, the clash in the Bubiyan channel might’ve provided a test of doctrine closer to the battles of Lissa or Latakia. Had the Soviet Union’s historical neutrality failed to materialize, or Saddam’s Scud barrages against Israel succeed at fracturing the Arab coalition arrayed against him, things could have gone very differently. This semi-historical scenario expands on the actual engagement and explores a more massive “Battle of Bubiyan” that never was, but easily could have been; one that would have put the question of missile boat doctrine to a much more definitive test. After their rough handling in the Iran-Iraq war, the Iraqi Air Force entered Desert Storm with a realistic view of their chances against first-rate coalition assets (ie. practically none), and planned accordingly. Tucked away in hardened aircraft shelters (HASs), Iraqi aircraft patiently rode out the first few days of strikes, trusting in their air defenses as they waited for an opportunity to strike; a kind of air-fleet in being. It was a well-considered strategy, but it was invalidated from January 23rd, when US F-117s and F-111s with bunker-buster bombs began cracking open the shelters that the Iraqis (and the Soviets before them) had considered immune to non-nuclear attack. 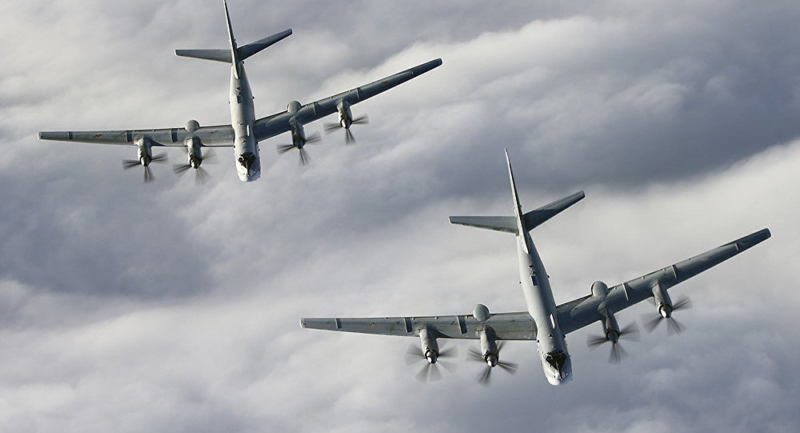 Unable to fight, and with nowhere to hide, the IAF’s only remaining option was to run. The resulting mad scramble produced the most unexpected challenge to coalition forces of the entire war. Given the IAF’s evacuation of assets to friendly neighbors in the early years of the Iran-Iraq war, coalition planners anticipated a possible retreat to their mostly-friendly neighbor, Jordan. Instead, the IAF fled for Iran. Nobody could imagine that Saddam would hand his air force to a bitter enemy he had just fought a brutal eight-year war with. Caught off-guard and out of position, the coalition scrambled to seal the Iran-Iraq border and destroy the remainder of Iraq’s air force before they could escape. The geography – and the odds – were weighed against them. 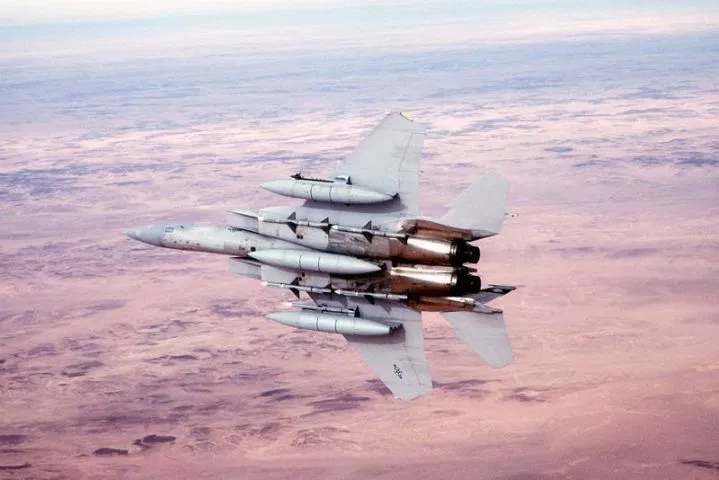 The border’s distance let bandits slip through, when F-15s – flying grueling seven-hour BARCAPs – suffered breaks in coverage during station rotations. Iraqi pilots usually made their dash for survival on the deck, where the coalition’s distant AWACS over northern Saudi Arabia could scarcely detect them. Despite every effort, over one hundred Iraqi airframes escaped to Iran, with only thirteen shot down running the gauntlet. The consequences were ultimately few – Iran, unsurprisingly, declined to return the aircraft postwar – but the coalition would still have preferred those aircraft destroyed, rather than in the hands of the Islamic Republic. This scenario replicates the historical challenges facing coalition fighters attempting to check the retreat. It also explores the scale of effort comprehensive destruction of the IAF’s inventory would have required, with a hypothetical airborne operation. 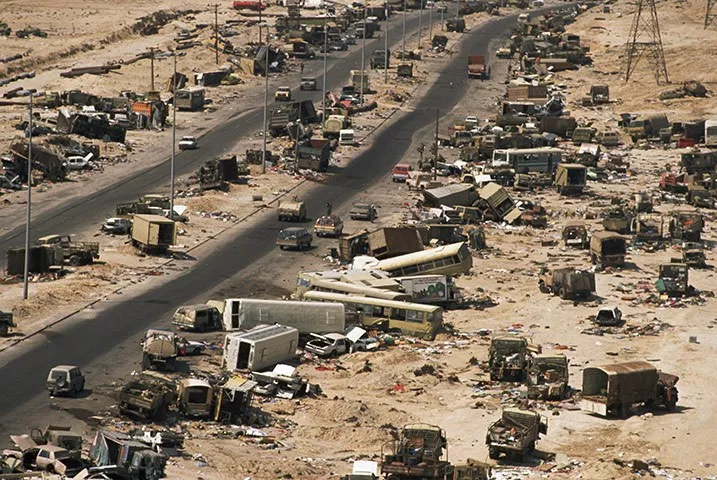 Though technically a media misnomer (many vehicles had been abandoned by the time they were struck, and far more trucks died than troops), Highway 8 was a microcosm of how Coalition airpower had shattered Iraq’s ground troops as an effective fighting force. Weeks of punishing bombardment had convinced many Iraqi soldiers that their heavy equipment was of no use, or worse, actively detrimental as it attracted airstrikes. The Iraqi soldiers’ decision to abandon their vehicles on Highway 8 – and their subsequent prompt destruction by airstrikes – underlines how effectively coalition airpower had disarmed, demoralized and dismantled what had once been one of the largest, most battle-hardened mechanized forces in the world. Of those units that hadn’t already abandoned their equipment, some did so upon engaging coalition ground forces, others surrendered to same when air power showed up, and the rest were paralyzed. Unable (due to lacking supplies & support) or unwilling (due to the threat of air attack) to maneuver effectively, they could only face the ground assault and return fire from their prepared positions. Airpower asserted itself even in these desperate last stands, such as the close air support of Marines advancing on Kuwait International Airport. Though strategic bombing had proved its worth in WWII (though at steep cost), tactical airpower had never before accomplished such complete devastation of fielded units in detail. Despite tasking its forces with attriting Iraqi ground forces by 50% before the ground invasion began – more than had been expected or asked of airpower in any previous conflict – the US military expected these results mostly from the same dumb munitions that had failed to deliver effectively since WWII. The surprise superstar of the war was the humble Laser Guided Bomb (LGB), which soon proved efficient at destroying tanks, a feat thought technically unfeasible prewar. Given their low cost compared to dedicated anti-tank missiles like Mavericks, many F-111s were hastily devoted to “tank plinking” for much of the war. Ultimately, the power of the Precision Guided Munition hadn’t been fully understood even by the military that pioneered them. This scenario is representative of the four-day ground/air campaign; reducing the numbers involved (and consequently compressing the timeline) to something manageable by the lone strike planner (i.e., you.) The rain of steel you can unleash is staggering, but ultimately just a sampling of the colossal destruction Coalition airpower historically wrought. Of all the existential threats to Israel, none loom larger than the Islamic Republic of Iran, which has made the destruction of Israel the core tenet of its foreign policy since its inception. It’s pursued that goal with devoted persistence, pouring money and materiel into a three and a half decade effort to damage or destroy the Israeli state in any way possible. This hypothetical scenario explores how this long-simmering conflict might boil over into all-out war. North Korea and the Indo-Pakistani conflicts have attracted more attention of late, but with the status of Iran’s nuclear program still in doubt (and bitterly debated,) the Israel-Iran conflict is still a potential nuclear flash-point entering 2019. This hypothetical scenario explores one possible – and very probable – way this flash-point might finally blow. Due to geographic distance and inferior military strength, Iran has traditionally utilized proxies such as Hezbollah to pursue its ends. In 2011, Iran joined the Syrian civil war, eager to gain an easier overland supply route to its proxies. What started as weapon shipments to Hezbollah eventually grew into a comprehensive Iranian forward-basing effort, including construction of missile and rocket factories, with output intended for Hezbollah. 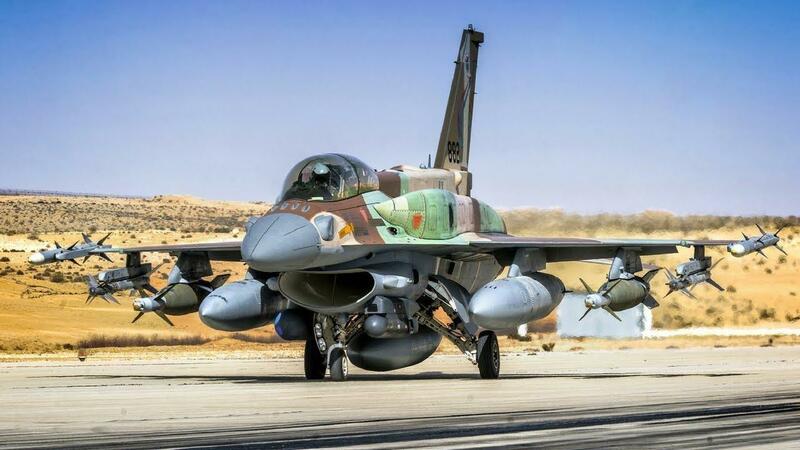 This led to direct conflict in 2018, when the Israeli Air Force began routinely attacking Iranian troops, facilities and supporting elements in Syria to stymie their efforts. Looming over the worsening situation is Iran’s longstanding nuclear weapons program and the dramatic impact – literal and figurative – an Iranian bomb would have on the conflict. In light of Iran’s already-extant delivery systems and Israel’s all-but-confirmed nuclear capability, such a development would instantly place Israel and Iran in a nuclear standoff. Despite the obvious deterrence potential of nuclear-tipped IRBMs, Iran might still opt for deployment via proxy. Silo-launched missiles have an obvious return address, and Israel – protected by a dense, multi-layered anti-ballistic-missile system – might handily “win” a full exchange. Iran seeks to damage Israel, not deter it, and its terrorist proxies have enjoyed long success in that mission, sometimes with methods as primitive as flying flaming kites over the border fence to ignite Israeli farm fields. A nuclear device infiltrated over the border by terrorists would be almost impossible for Israeli forces to stop, and most importantly would offer some level of plausible deniability that might forestall nuclear retaliation. However, even a conventional Israeli response would surely be comprehensive.